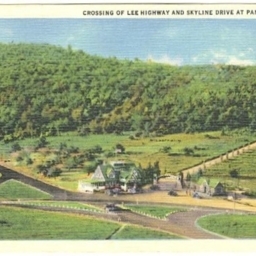 Photographic postcard showing a skier moving downhill toward Bryce Resort and lodge. 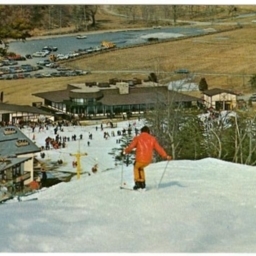 Taken from the ski slope. 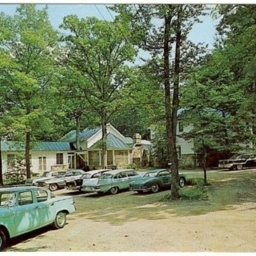 Copy of a postcard showing buildings at the Shenandoah Alum Springs Resort in Shenandoah County Virginia. 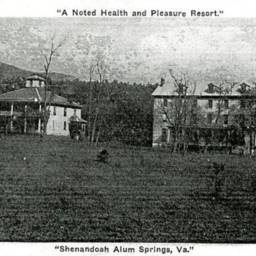 Includes a by-line "A Noted Health and Pleasure Resort." 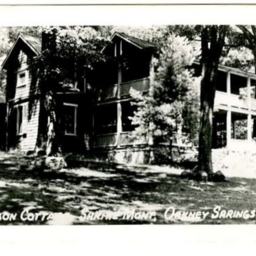 Postcard showing Gibson Cottage at the Shrine Mont Resort in Orkney Springs Virginia. 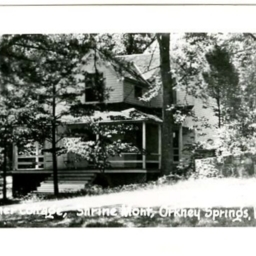 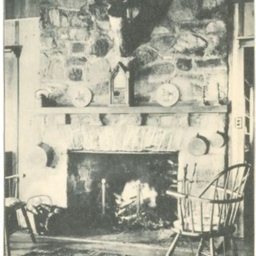 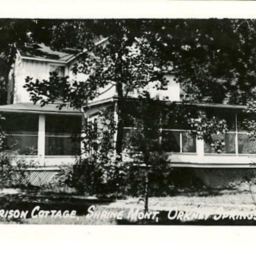 Postcard showing Gibson Cottage at the Shrine Mont Resort in Orkney Springs. 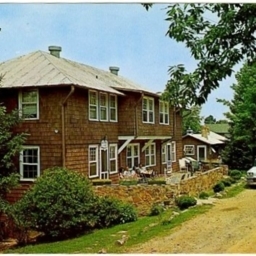 Postcard showing Central Halls and the Refectory at the Shrine Mont Resort in Orkney Springs Virginia. 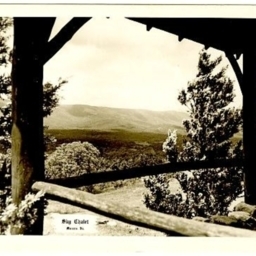 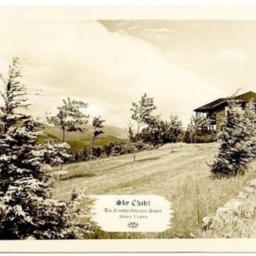 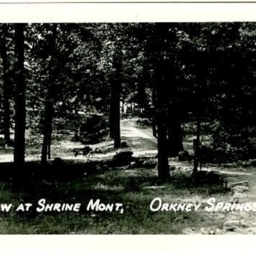 Postcard showing a view at the Shrine Mont resort in Orkney Springs Virginia. 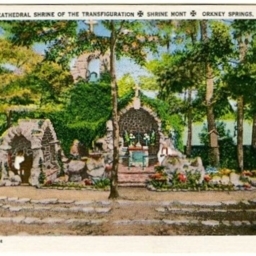 Postcard showing the "Cathedral Shrine of the Transfiguration" at the Shrine Mont resort in Orkney Springs Virginia. 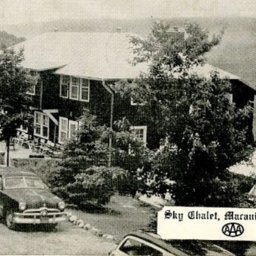 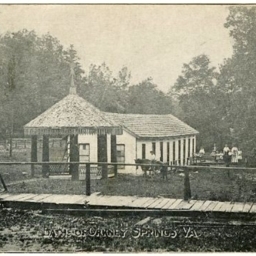 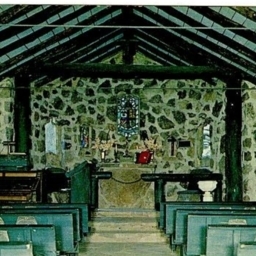 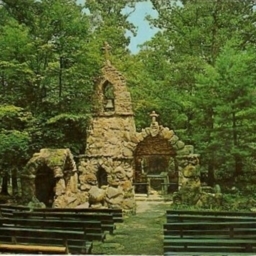 Postcard showing the Shelter Chapel located at the Shrine Mont resort in Orkney Spring Virginia. 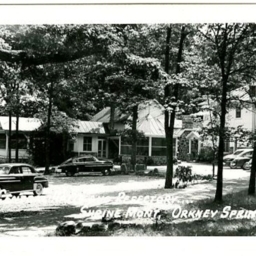 Postcard showing Central Hall and the Refectory at the Shrine Mont resort in Orkney Springs Virginia. 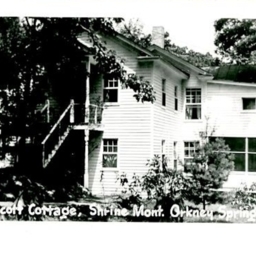 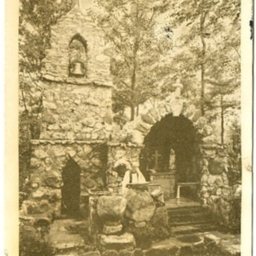 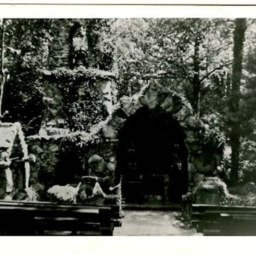 Postcard showing the "Shrine of the Transfiguration" at the Shrine Mont resort in Orkney Springs Virginia. 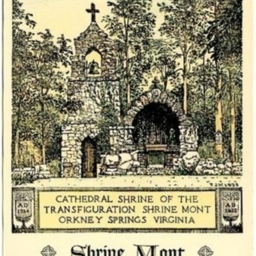 Postcard showing the "Cathedral Shrine of the Transfiguration" at Shrine Mont resort in Orkney Springs Virginia. 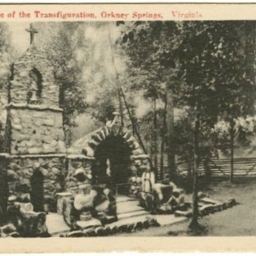 Postcard showing the "Cathedral Shrine of the Transfiguration" at Shrine Mont in Orkney Springs Virginia. 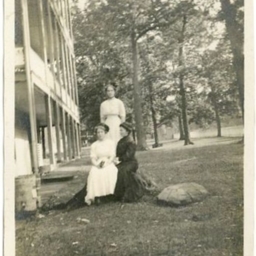 Postcard showing three unknown women at Shrine Mont in Orkney Springs Virginia. 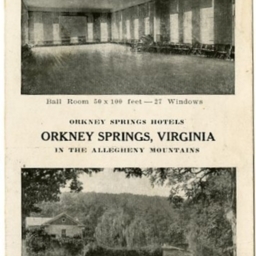 Postcard showing the ball room and a scene on the lawn at the Orkney Springs Hotels in Orkney Springs Virginia.